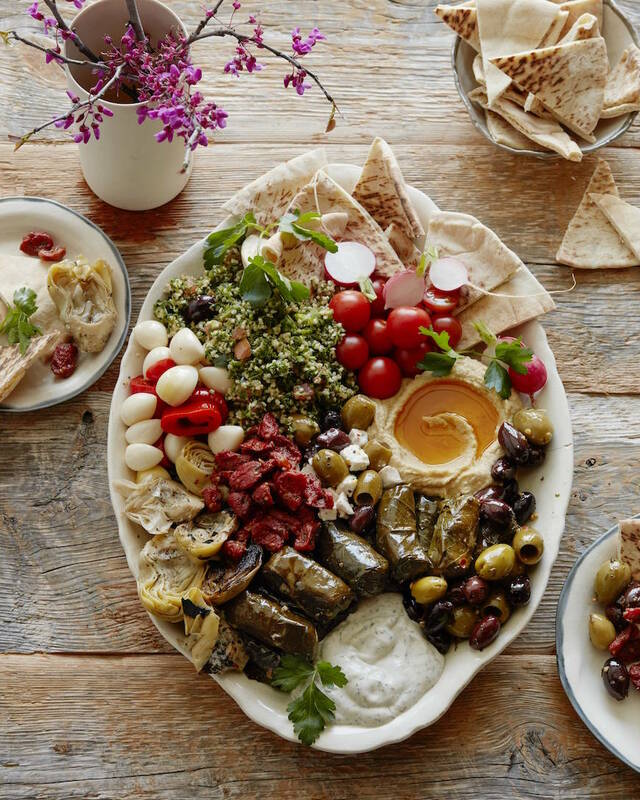 Before the Easter Feast… we need a light and colorful Vegetarian Mezze platter!! A few years ago we did an epic easter brunch spread at my house, and then a few days later and even more extraordinary Greek Easter brunch at my friends home. It was enough to make me want to pack my bags, move to Greece, and take up residence somewhere by the sparkling blue sea. It was everything you could have imagined… various meats, cheese, olives, snacks… the list goes on. They laid it out for us in a few courses and I never wanted to leave. I’m sad to report that they have since moved from LA so Greek Easter doesn’t happen anymore. Who’s Greek and wants to invite me over? I’LL BRING THE FLAMING CHEESE! 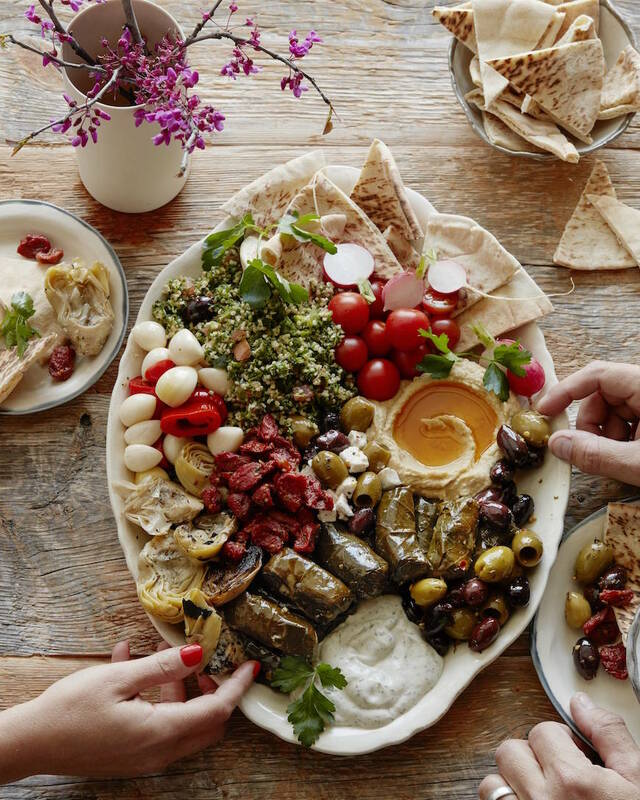 So rather than sulk and be sad, I’ve just started making a little appetizer situation of all my favorite nibbles ’n things to munch on before the actual Easter brunch takes place… hence my Vegetarian Mezze appetizer situation. 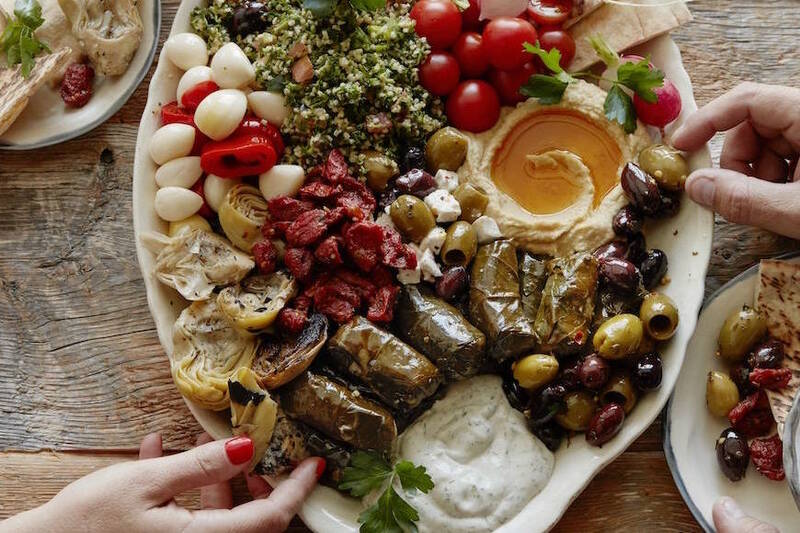 It’s a combination of artichoke hearts, marinated garlic, feta, pesto, olives, tabouli, hummus, tzatziki, dolmades and everything else you could throw together for an appetizer board of epic proportions. Best part about a situation like this… a lot of it comes pre-made! DeLallo has about 60% of these ingredients covered, and the other things you can make the day before so you’re less stressed come Easter Sunday! 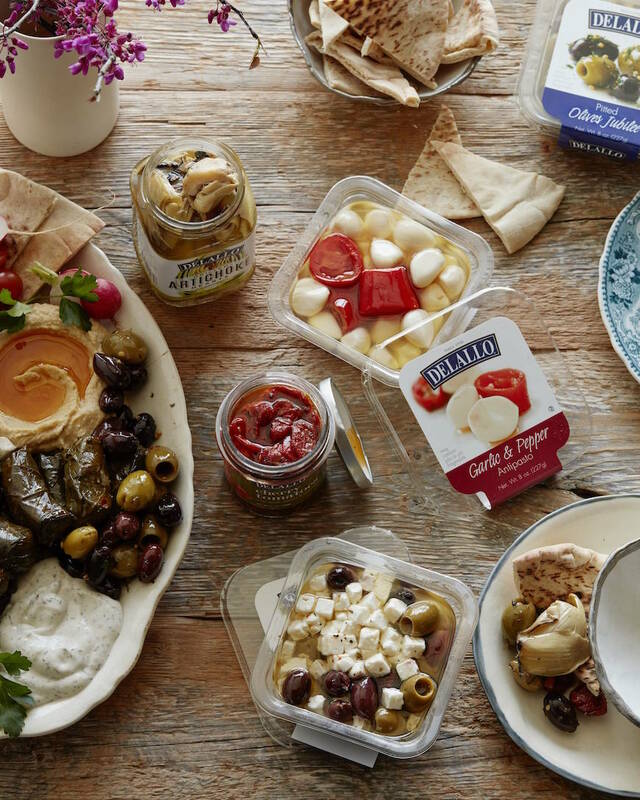 Pick and choose whatever DeLallo olives and antipasti you prefer – they ALL work in a situation like this. I used the DeLallo Sun Dried Tomato Pesto but you could use any of their pestos and they will work perfectly. 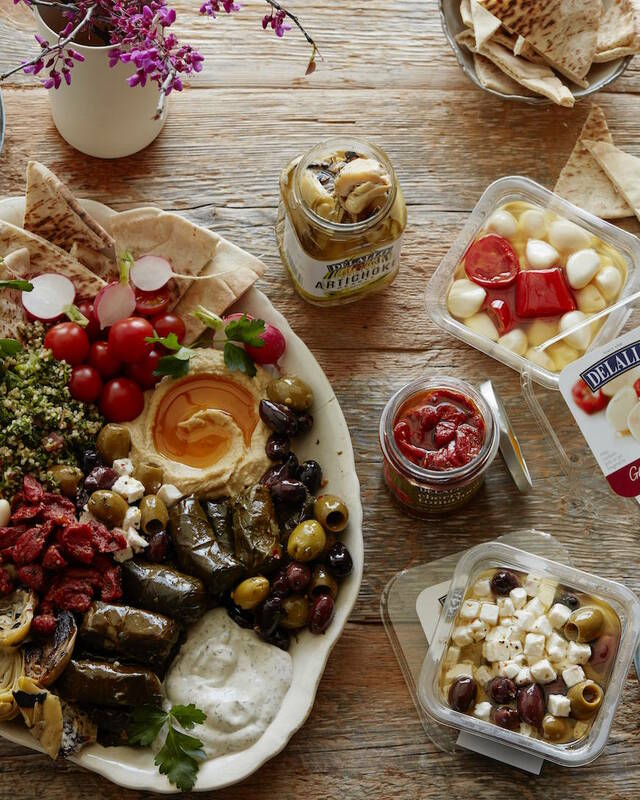 That’s my most favorite thing about this Mezze situation – everything works with anything. And it’s 100% vegetarian so no one will feel left out! Throw all these things on your shopping list, grab them at your local deli or the olive & antipasti bar and then send me pics via snapchat as you bring it all together for the feast! 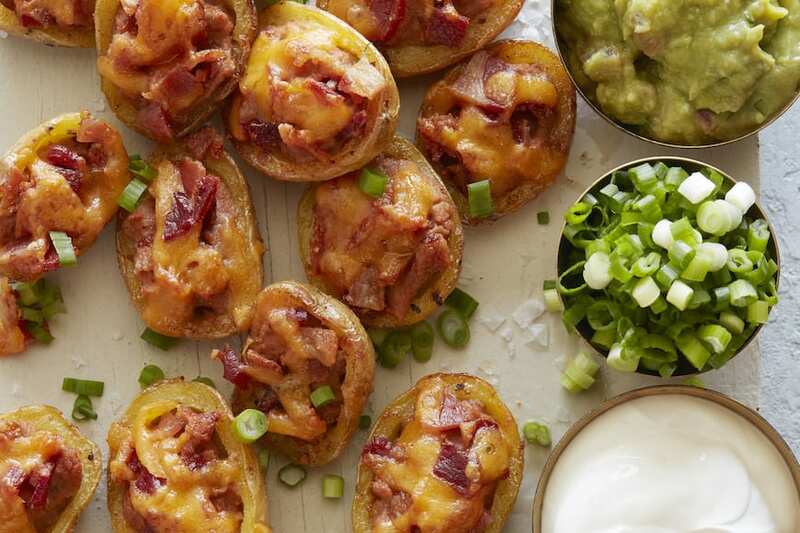 Arrange all the ingredients on a large platter and serve as needed. 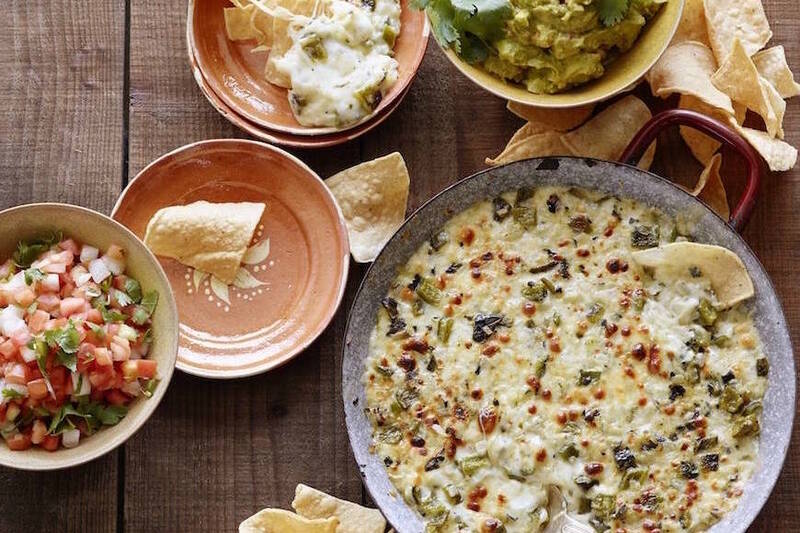 People can mix and match their own bites using the crackers or pita chips as a base. What a gorgeous platter! 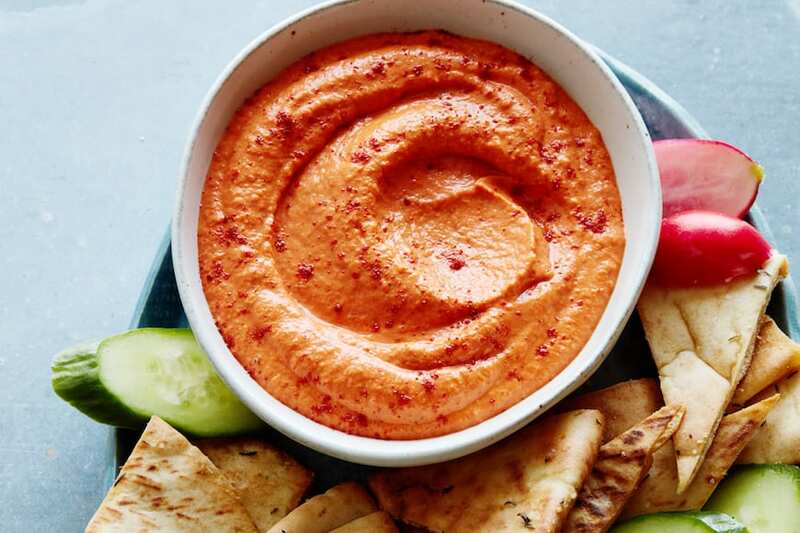 I want to dive into the hummus, tabouleh, and everything else! What a great idea! I love everything about this – especially the ease!! What a perfect idea when bringing friends together! Oooooh want. Before moving to LA I lived in Astoria, Queens, where I ate Greek food daily. Now I hardly touch it here…sad face. RIGHT??? Why aren’t there better Greek restaurants here in LA! OMG! This platter is amazing! 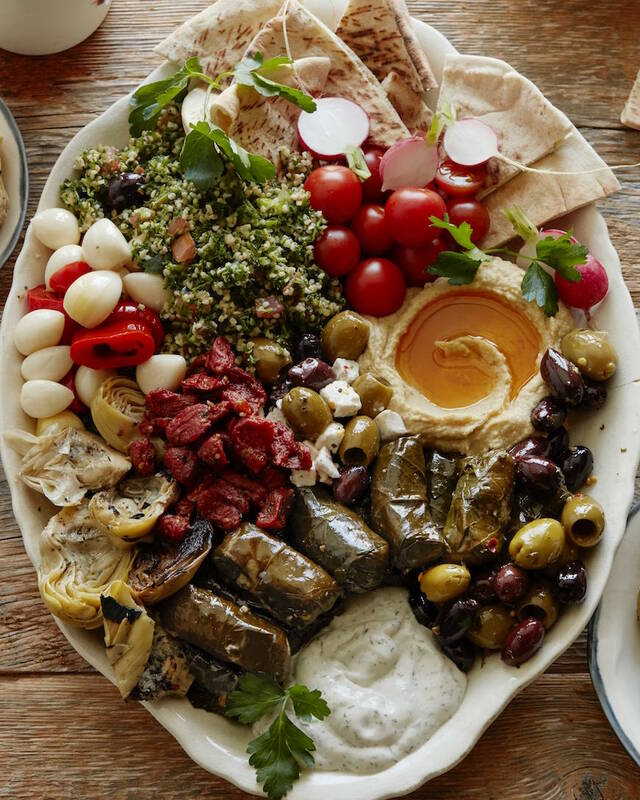 I’m Greek and I use to serve these appetizers all the time but I’ve never thought of putting everything together on the same platter. That’s the way I’m going to serve on the next gathering. Thanks! Absolutely gorgeous platter! Now I want a Greek Easter. My vegetarian daughter is home for Easter…this will work perfectly!!! Thank you for the inspiration! I threw one together on Easter and it was a great success with the half vegetarian dinner group. I could not find stuffed grape leaves so I added roasted eggplant chunks and asparagus. Also no marinated feta so I used mozzarella balls. I’m in Virginia and we don’t have a DeLallo’s that we can pick up at. Can you provide the exact ounces of each product. After seeing your platter my taste buds are running wild. It is absolutely gorgeous and I can’t wait to make it.